Lifetime mechanical guarantee, ANSI Grade 3. Taymor products are warranted against defect in materials and workmanship for one full year from date of purchase from Taymor, unless otherwise specified. This warranty does not cover any defects or consequential damages caused by misuse, alteration or accidental damage. Warranty does not include any labour costs. For questions regarding our Warranty policy, please call 1-800-387-7064. The Fairfax knob is a classic style that will suit any dicor. The Satin Nickel finish adds class to any room and will be a noticeable upgrade in your home. As well, you will get the same easy-installation and reliability that comes with any Weiser product. Get Smart. Get Weiser. 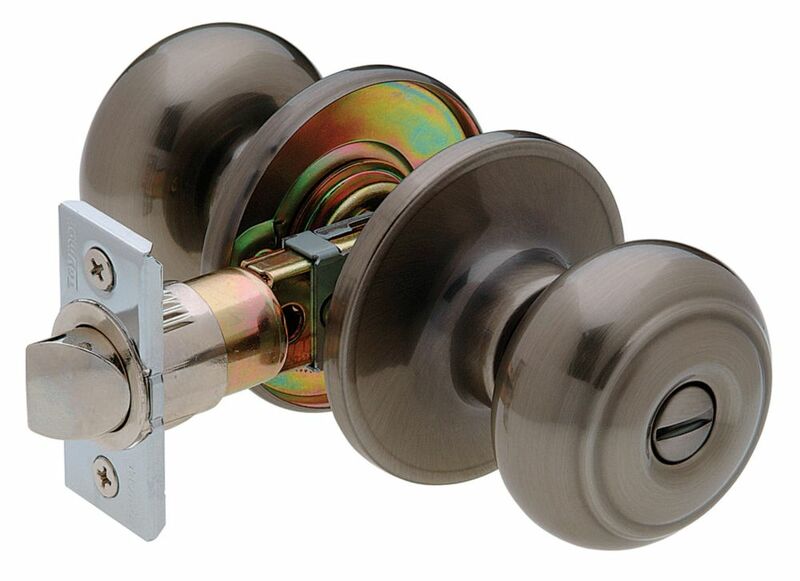 Manchester Antique Nickel Privacy 6-1 Dome Knob Our Professional line of locks includes our most popular styles in a wide range of finishes - the perfect choice for professionals and DIYers alike!